Above the landing hung a portrait with Andy, his mom, and stepdad ascending in that order. "Jackets and ties," Camille pleaded, and her son complied. Barry left the top three buttons undone, unleashing the crucifix pendant, to complete the family. The seven-year old boy lifted his family from the nail, revealing cracked plaster, Barry's handiwork undoubtedly. Wrong end, wrong kind of hammer, a ball-peen. 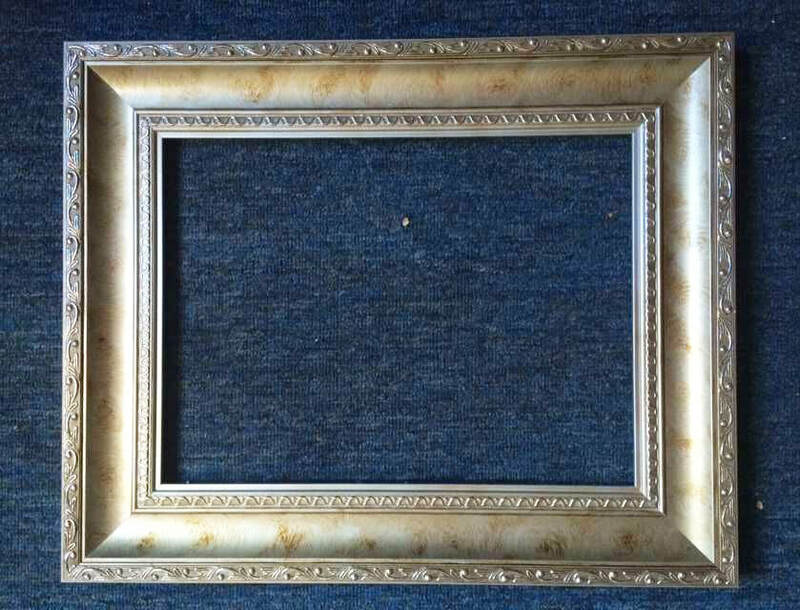 Andy dropped the frame, removed the photograph, Sears emblazoned in blue. He slipped a pen from Camille's book of crosswords, pressed the tip between Barry's scalp and scar, and began to draw. Devil horns, embellished to not look like cat ears, to see if anyone would notice. Andy reassembled the frame, returned his family to the nail, replaced the pen and hid Barry's belt just in case. At seventeen, Andy prowls through others' homes, stalking portraits. Mantles and staircases, private studies, master bedrooms. The hosts don't ask about his unhurried trips to the bathroom, the whining door hinge, or the bedspring that reproaches Andy for compressing it. Andy holds the family, sensing their weight, wetting the portrait glass with slow breath. He wants to take them apart, to draw on them, maybe this time he will. From beneath the sheen, Andy waits for the family to reappear, hoping their eyes will tell him what their wide aching mouths won't. He asks if it was him or her, was it over due to confession or discovery, or is it still burning? And you, little one, do you keep a secret too? Was it the science teacher (earnest) or Father Raymond (patient) or Uncle Teddy (fun! ), then he whispers, Will you tell me yours if I tell you mine? Ten years from now, Andy will chase his son across the Sears Portrait Studio floor, his wife lost in her compact mirror. Maylin and Luke's outfits will be dashing, same ones from Easter, and the top three buttons of Andy's shirt will be undone. He'll schedule an appointment, work three overtime shifts to afford the deluxe package, and ask why it takes more to make a portrait than a family. Andy will beat a nail into the wall, plaster will crumble, and fall to his feet on the landing. A little to the left, too far, perfect. Evening sun will fall down the staircase, casting an annoying glare, moving Andy to a better vantage. From there he'll show guests the portrait of himself, his wife and son, descending in that order. They'll hear his insistent voice, narrow their eyes, and notice Maylin slink away. They'll follow, leaving Andy alone with the smiles that tell him everything he wants to know, and the eyes he can't read from this perfect distance.